World Customs Organization « What Happened to the Portcullis? At the invitation of the South African Minister of Environmental Affairs, Secretary General Kunio Mikuriya addressed a “Ministerial Lekgotla” held in Johannesburg, South Africa, on 23 September 2016 as an introduction to the CITES CoP 17 World Wildlife Conference. During the high-level panel session, Secretary General Mikuriya focused on the role of Customs in facilitating legal trade and intercepting illegal trade in wildlife and on its link to CITES and Sustainable Development Goals. He highlighted the WCO Declaration on the Illegal Wildlife Trade, which had been adopted in 2014 and aimed at drawing the attention of policy makers to environmental crime and at raising the priority of Customs operations in this area. He also referred to the INAMA project (started in 2014) for technical and capacity building assistance for Customs on risk management, collaboration with other law enforcement agencies and institution building to enhance integrity. Cooperation with the transport industry was also part of the WCO efforts to improve compliance, as exemplified in the Royal Foundation Task Force Declaration on Transport, adopted earlier this year. The presence in Johannesburg of high-level delegations also provided an opportunity for the Executive Heads of the International Consortium on Combating Wildlife Crime (ICCWC) to meet in order to further enhance the collaborative work with the CITES Secretariat, INTERPOL, the UNODC, the World Bank and the WCO. An important new instrument was finalised at the 42nd Session of the Technical Committee on Customs Valuation which took place in Brussels from 18 to 22 April 2016 under the Chairmanship of Ms. Yuliya Gulis of the United States. The instrument contains a case study illustrating a scenario where Customs took into account transfer pricing information in the course of verifying the Customs value. The WTO Valuation Agreement sets out the methodology for establishing the Customs value, used as the basis for calculating Customs duties. The Agreement foresees that Customs may examine transactions between related parties where they have doubts that the price has been influenced by the relationship. The Organisation for Economic Cooperation and Development (OECD) has developed Guidelines for establishing the transfer price, that is the price for goods and services sold between controlled or related legal entities, in order to determine business profit taxes where businesses are related. Over recent years, the similar objectives but different methodologies of transfer pricing and Customs valuation have been noted, and it has been recognised that business documentation developed for transfer pricing purposes may contain useful information for Customs. An earlier instrument of the Technical Committee, Commentary 23.1, confirmed this principle. The new case study provides an example of Customs making use of transfer pricing information based on the transactional net margin method. On the basis of this information, Customs accepted that the sale price in question had not been influenced by the relationship. The OECD has provided valuable input to the Technical Committee discussions in the development of the new instrument which provides helpful guidance to both Customs administrations and the business community. Both the WCO and the OECD advocate closer cooperation between Customs and tax administrations in order to strengthen governments’ ability to identify the correct tax and duties legally due and enhance trade facilitation for the compliant business sector. The case study (Case Study 14.1) will be made available in the WCO Valuation Compendium, subject to approval by the WCO Council in July 2016. In order to assist Members with the updating of their existing Rules of Origin in relation to changes in the Harmonized System, the WCO has issued the “Guide for the technical update of Preferential Rules of Origin“. The Guide is available for WCO Members only. 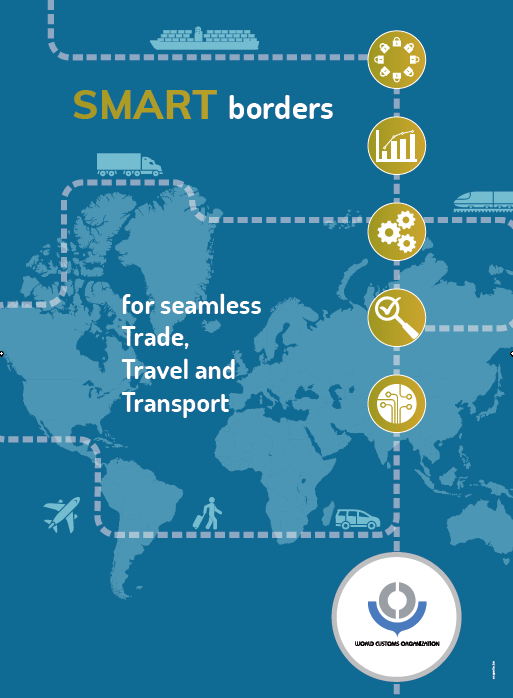 The term Digital Customs refers to any automated or electronic activity that contributes to the effectiveness, efficiency, and coordination of Customs activities, such as automated Customs clearance systems, the Single Window concept, electronic exchange of information, websites to communicate information and promote transparency, and the use of smart phones. Enhanced detection of irregularities and illicit consignments through the collection and analysis of data. Such positive outcomes will contribute significantly towards the realization of Customs’ objectives, including improved revenue collection, border security, the collection of trade statistics, and trade facilitation. “Border agencies are increasingly embracing digitalisation to enhance their effectiveness and efficiency. The WCO has an extensive portfolio of instruments and tools to support WCO Members in their efforts to further adopt Digital Customs.” said WCO Secretary General Kunio Mikuriya. “Over the course of 2016, I invite all WCO Members to promote and share information on how they are implementing and using digital technologies to advance and achieve their objectives.” Mr. Mikuriya added. The WCO’s annual theme will be launched on International Customs Day, which is celebrated annually by the global Customs community on 26 January in honour of the inaugural session of the Customs Co-operation Council (CCC) which took place on 26 January 1953. The October 2015 Edition focuses on the subject of e-Commerce, among’st other developments at the WCO. There’s a discussion on a new book which provides insight into the economic benefits of implementing a single window system, as well as a review of a book titled ‘The Politics of Trade and Tobacco Control’. The WCO’s flagship magazine WCO News, aimed at the global Customs community, has published its latest edition which features a special dossier on API/PNR (Advance Passenger Information and Passenger Name Record) – two key words on the global security agenda. Other highlights include a focus on Customs laboratories, interviews on the ‘illicit tobacco trade’ and the ‘killing of elephants,’ as well as articles covering trade-based money laundering, strengthening export controls, the illegal vehicle trade and much more. The first World Customs Organization (WCO) East and Southern Africa (ESA) Research Conference took place in Harare, Zimbabwe on 4-5 June 2014. The event was organized by the WCO ESA Regional Office for Capacity Building (ROCB) and hosted by the Zimbabwe Revenue Authority. The United Kingdom’s Department for International Development (DFID) provided funding. Opening remarks were delivered by Ms. Christine Msemburi, the Executive Director for the WCO ESA ROCB in Nairobi, Kenya; Mrs. Anna Mutobodzi, the Acting Commissioner General of the Zimbabwe Revenue Authority; Mr. Happias Kuzvinzwathe, Customs Commissioner of the Zimbabwe Revenue Authority; Mr. Robert Ireland, the Head of the WCO Research Unit in Brussels, Belgium; and Professor C. Hope Sadza, Founder and Founding Vice Chancellor of the Women’s University of Africa. Following their selection in response to a Call for Papers, eight research papers were presented at the conference by representatives of Customs administrations, the private sector, and academia from the ESA region. The research focused on topics linked to trade facilitation, including information and communications technology (ICT), risk management, transit systems, measurement, and Customs-Business partnerships. The research papers will be consolidated and published in an e-book. The work of the researchers was supervised by Mr. Creck Buyonge, Adjunct Associate Professor (Revenue & Customs) at the Centre for Customs & Excise Studies, University of Canberra, and Mr. Mark Goodger a lecturer at the University of KwaZulu-Natal (Durban) and the University of Cape Town. Ms. Msemburi congratulated the researchers for their sustained efforts and contributions to building knowledge on Customs matters in the region. “We need to be ruthless and honest as we write about ourselves so that we build a factual body of knowledge in Customs for East & Southern Africa” said Ms. Msemburi. The Dublin Resolution, which was issued at the conclusion of the Policy Commission meeting in Dublin, Ireland on 11 December 2013, welcomes the WTO Agreement On Trade Facilitation (the “Trade Facilitation Agreement”), as embodied in the Bali Package’s Ministerial Decision, adopted at the WTO’s Ninth Ministerial Conference in Bali, Indonesia from 3 to 7 December 2013, under the framework of the Doha Development Agenda. The Dublin Resolution emphasises the commitment of the WCO to the efficient implementation of the Trade Facilitation Agreement. The WCO Secretary General, Kunio Mikuriya, said that he was very pleased with the timely and affirmative action of Policy Commission, which reflects the determination to drive forward the global Customs trade facilitation agenda. What Does the WCO think of the WTO Trade Facilitation Agreement? What is the value of a slick customs service? The traditional symbol of customs and borders services is the portcullis – the fortification through which a ship used to enter a port. 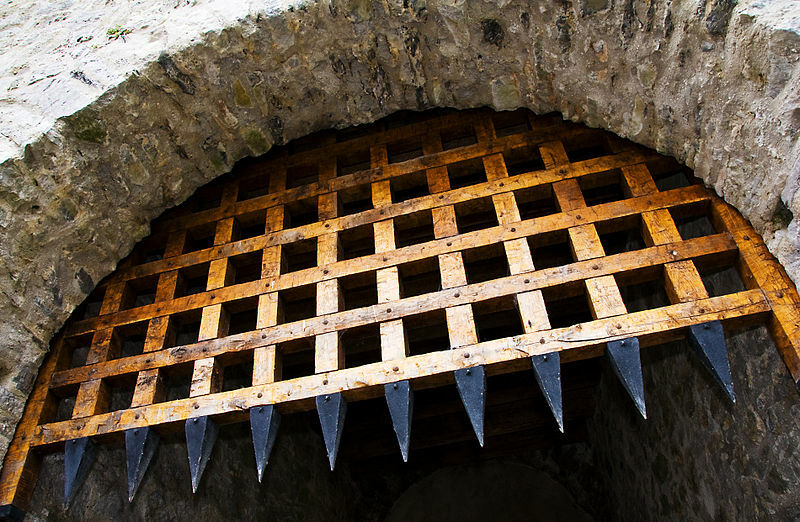 But as developing countries are increasingly asked to recognise the benefits of liberalised trade to the detriment of their import duty revenue, how can they be helped to raise the portcullis? And is it really in their interests to do so? The major players working with developing country governments to help them benefit from this increase in trade include the World Bank, ICC, World Customs Organisation (WCO), IMF, UN Conference on Trade and Development (Unctad), development banks and specialist intermediaries such as Crown Agents. Turkey is cited by Sandeep Raj Jain, economic affairs officer at the United Nations Economic and Social Commission for Asia and the Pacific (Escap), as a case study for the successful modernisation of customs systems, having consolidated 18 previously autonomous border gates and introduced a single IT clearance system, leading to an increase in tax revenues and a decrease in clearance time to the benefit of incoming and outgoing trade. Angola increased receipts sixteen-fold from $215.45m in 2000 (£148m) to $3,352m in 2011 through an improved National Customs Service and the introduction of an automated entry processing system and customs clearance Single Administrative Document. The African Development Bank also supported post-conflict Liberia with the extension of an automated system for customs data, helping to reduce the time to clear goods at the port from 60 days to less than 10 days and increase revenue collection at three ports from about $4m a month to $10m-$12m. This, Ellen Johnson Sirleaf, president of Liberia has said, given the government additional scarce revenues to invest in the projects to improve the livelihoods of people. Horror stories also abound of revenue loss, acting as a cautionary tale for leaving outdated customs processes untouched. A World Bank report, for example, finds that in Algeria smuggling caused a loss to the public exchequer rising from DA18bn in 2006 ($237m) to over DA61bn in 2011. The SADC Rules of Origin are the cornerstone of the SADC intra-trade and serve to prevent non-SADC members benefiting from preferential tariffs. The determination of the eligibility of products to SADC origin and the granting of preferential tariffs to goods originating in the Member States is an important process in the implementation of the SADC Protocol on Trade and regional integration. Annex I of the SADC Protocol on Trade provide that goods shall be accepted as eligible for preferential treatment within the SADC market if they originate in the member States, and the qualification of such products shall be as provided in Appendix I of Annex I of the Protocol on Trade. The 2nd Customs Training of Trainer Course was held on the SADC Rules of Origin at the World Customs Organization (WCO) Multilingual Regional Training Centre, Mauritius Revenue Authority from the 25th -30th November 2013. The objective of the training course is to establish a pool of trainers on the SADC Rules of Origin who can provide guidance and train on the subject at national level to Customs officials and relevant Stakeholders. During his opening address, Mr Sudamo Lall, Director General of the Mauritius Revenue Authority, laid emphasis on the critical importance of the ‘Rules of Origin’ as it has ‘great impact on the duties to be collected, as businesses increasingly locate the different stages of their activities in a way that optimizes their value-addition chain’. On the other hand Mr James Lenaghan Director Customs mentioned that ‘the Rules of Origin in any Free Trade Area are of prime importance as they serve to determine which goods can benefit from preferential tariffs. This enables member states of a particular Free Trade Area to benefit from the tariffs advantages inherent to the Protocol of trade agreed within that Free Trade Area. Since Customs is the controlling agency for preferential origin, it is vital that our officers are trained to correctly apply the SADC Rules of Origin’. During their short visit at the training workshop, the Executive Secretary ,Dr Stergomena Tax and the WCO Secretary General, Mr Kunio Mukiriya addressed the group on the importance of rules of origin as the basis for regional integration. Dr. Tax also urged the participants from all SADC Member States to cascade the knowledge gained at the Centre to their respective countries. The SADC region is now equipped with a third World Customs Organization accredited Regional Training Centre in addition to the South African and Zimbabwean Regional Training Centre. The Regional Training Centres are excellent platforms for Customs to advance capacity building and to share information and best practices. The Mauritius Revenue Authority (MRA) has been selected by the WCO to host the RTC as part of the WCO initiative to optimise resources in the region and in line with government’s objective of making of Mauritius a Knowledge Hub. The RTC represents the 25 of its kind adding to the existing Centres across the world and is the fourth one in the WCO ESA region. The Centre will enable the WCO achieve its mission of enhancing Customs administrations in the WCO ESA region thereby helping these Customs administrations to make an important contribution to the development of international trade and to the socio-economic well-being of their country. Under the WCO strategy the RTC has four main objectives namely: development of regionally relevant training; maintenance of specialist trainer pools; provision of specialist training at a regional level; and development and support of the WCO’s blended learning programme. Moreover, it has as task to develop and maintain annual training plans and work in partnership with the private sector to maintain effective relationships between Customs and economic operators as well as assist Member countries in their training needs. The Mauritius RTC is equipped with English, French and Portuguese language facilities as well as an e-learning platform. The Vice-Prime Minister and Minister of Finance and Economic Development, Mr. Xavier Luc Duval, formally opened the RTC on the 25th November 2013. In his opening address, Secretary General Mikuriya commended the leadership and continued engagement of Mauritius, previously as WCO Vice-Chair for the East and Southern Africa (ESA) Region from 2011 to 2013, and now as host of an RTC. He hoped that this RTC would serve to share knowledge and strengthen the human resource network for Customs cooperation and regional integration. On the 8th of November 2013 in Maseru, Lesotho, the Southern African Customs Union (SACU) launched the first regional Customs – Trade Forum in Africa. The theme of the historical event was “Government and Business: partners for economic development through regional trade”. At the launch, the Minister of Finance and Chairperson of the SACU Council Leketekete V. Ketso and Minister of Trade and Industry, Cooperatives and Marketing, Sekhulumi P. Ntsoaole addressed the attendees as well as Director Capacity Building Erich Kieck from the WCO. Both ministers mentioned the funding from the Swedish International Development Cooperation Agency as a big contributor to undertake this event. More than 30 representatives from the private sector in the SACU region attended the forum together with the five Heads of Customs and one delegate from each Member’s private sector presented their expectations on the continuous work within the Forum framework. The first working meeting of the Forum is tentatively scheduled to be held in April 2014. The event was acknowledged also by media and representatives from Lesotho Revenue Authority would discuss its importance in papers, radio and TV.